June 19th thru August 21st Call us at 847-629-5925 or use the Contact Us tab to the right if you have additional questions Good luck and we will see you there. J’s Sports Bar & Grill now has ping pong and both indoor and outdoor bags. Stop in and play a round of each today and get great drink specials the whole time. Ask the bartender about Bag Leagues as well. Bag Leagues every Thursday at J’s Sports Bar & Grill From beginner to novice to advanced we have a bag league you can join at J’s Sports Bar & Grill featuring full payout weekly cash and prizes! 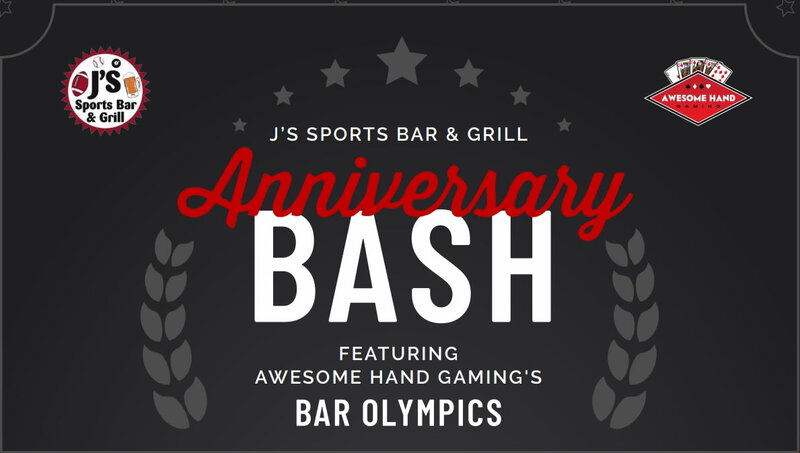 Sign up for the tournament now with the bartender or contact us at (847) 629-5925 for more information. How it works: 1st place wins prize money. Over $1000 in cash and prizes. 1st thru 5th place pays out, 12 week season with the playoffs the 13th and 14th week. It’s time to put the snow shovels away and get ready to play! Spring Bags Starts Today!